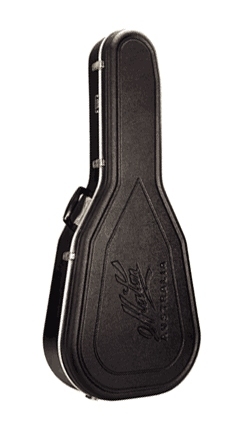 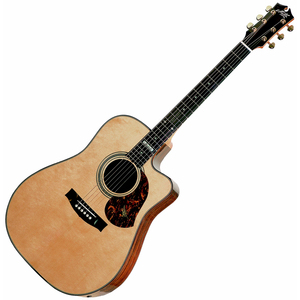 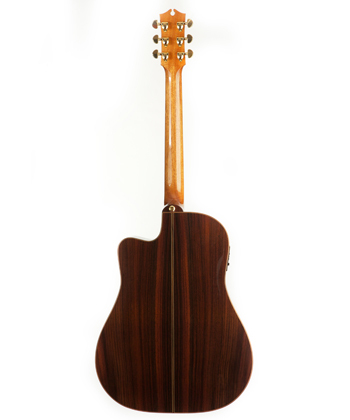 The new Maton Messiah EM100C has been remodelled for a new beginning in 2012. 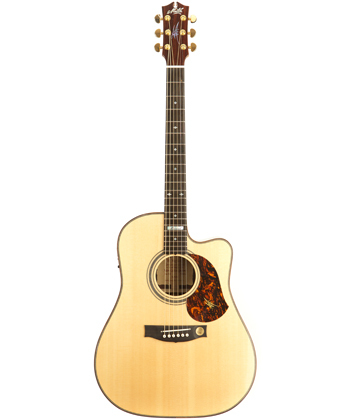 Featuring a newly tuned, scalloped braced top and Solid Rosewood back and side sets, this Australian Music Industry icon has taken its classic worldly timbers and expanded its tonal spectrum. 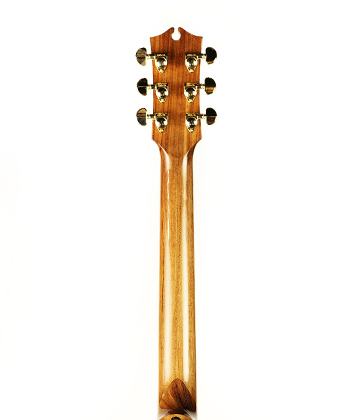 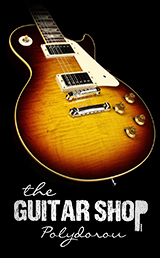 A new Solid Mahogany Neck adds thickness to its deeper and richer tone and again the Maton UV paint finishes this model with a finer and more refined quality. 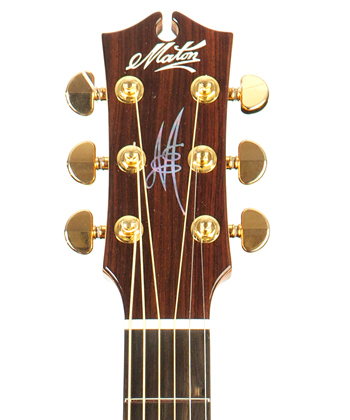 The Maton signature M MOP decal on the headstock is the finishing touch to a guitar that is truly a world class performer.